1) FIND: Collect all your old (non-copyrighted) photos. Get your entire family and circle of friends involved as a treasure hunt to track down those Polaroid snapshots, shoeboxes of pictures and photos stacked away in draws and on closet shelves. 3) SHARE: Use your favorite social networking website, such as Facebook, Blogger, Google+ or Twitter to ask your relatives and friends to find those old (non-copyrighted) school pictures, vacation shots, wedding and other special occasion photo memories. 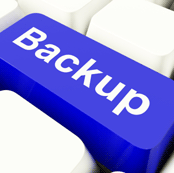 By uploading your photos to sites such as Facebook, Twitter, Google+ or Flickr, create an online backup of your newly digitized photos which can also be shared with others. Share your stories. Write to local newspapers and blog about your experience as you revisit those special photo memories. Once your photos are digitized, tag each one with descriptive messages and narratives. Write a story about who was in the picture and note something special about the person, scene or event so future generations can keep those memories alive. 4) ASK FOR ASSISTANCE: Share your story and ask the experts for help to preserve your photos. As part of Photo Preservation Day, the ScanMyPhotos.com website is extending its free Live Support Help Desk to assist with instant answers to questions on how to preserve and digitize your photos. This entry was posted in Uncategorized and tagged photo backups, Photo Preservation Day, photo scanning by Mitch Goldstone. Bookmark the permalink.